PICA will be hosting 2-unit internships in Winter Quarter in partnership with the FOCAN class, Cultivating a Daily Revolution. 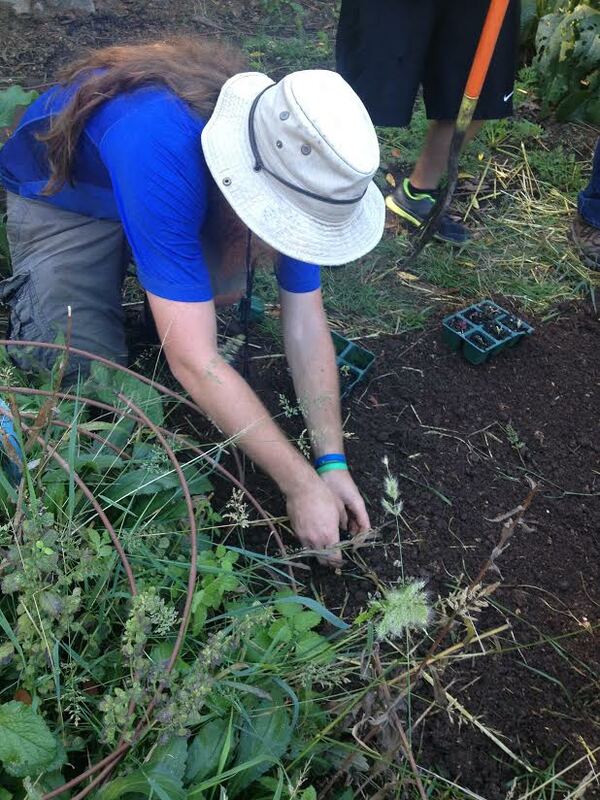 Would you like to receive credit to work in the garden at PICA and learn hands on skills in sustainability? If so contact focan@ucsc.edu for information on how to enroll. Every Saturday from 10am to 2pm! Our garden workdays start up again on Jan 17, 2015. Come learn how to grow your own food! We meet at the A-quad at the entrance to the Village and a free garden grown lunch is served. My name is Ariel Wexler and I am PICA’s Program Assistant. This year I am coordinating Student Garden Market Cart’s. 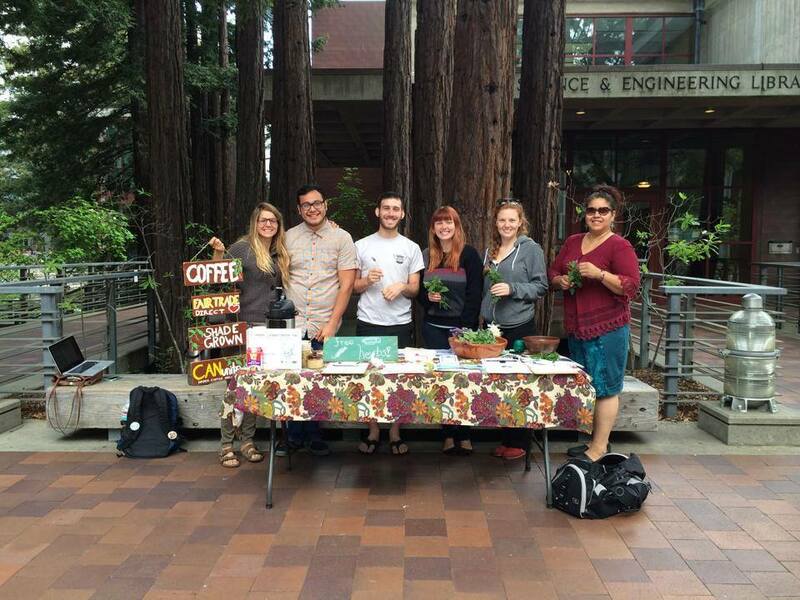 The Student Garden Market Cart is when representatives from student campus gardens table on campus and hand out free produce to students. Students are then encouraged to sign up for our mailing list and hopefully participate in our gardens workdays/events. The Market Cart is a great way for PICA to make connections with other student gardens, in addition to outreaching to students about the work we are doing. In the past PICA has collaborated with Kresge, Stevenson, and College Eight gardens. There will be two Market Carts in Winter and Spring quarters. This Fall I planned one Market Cart however, I look forward to building better connections with students from the other gardens to get more participation. I will work on getting dates for Winter Quarter the first week of next quarter so that I have more time to adequately outreach for them. I’m excited about the upcoming Market Carts; I am envisioning lots of veggies, and CAN coffee for students to enjoy. 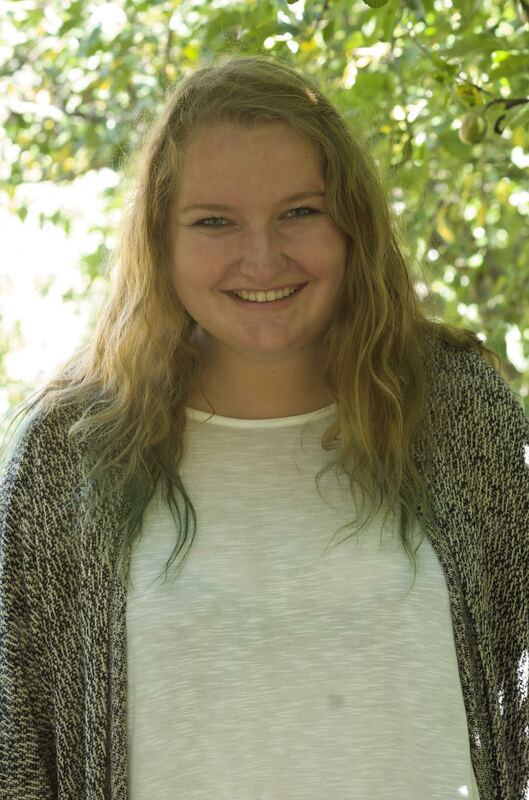 About the Author: Ariel is a fourth year Environmental Studies Major and Jewish Studies minor. This is Ariel’s third year as a PICA resident. 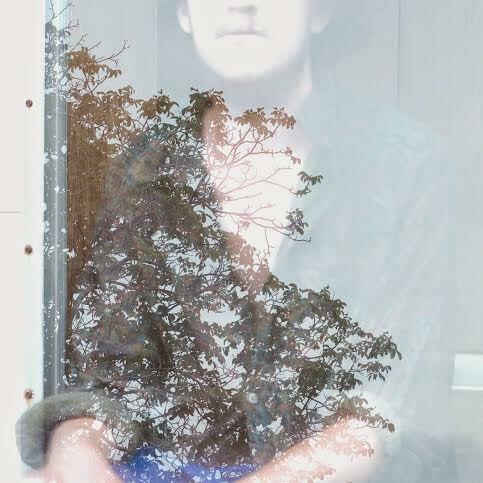 Ariel is passionate about the intersection between food, environmentalism, and ancient Jewish practices and texts. 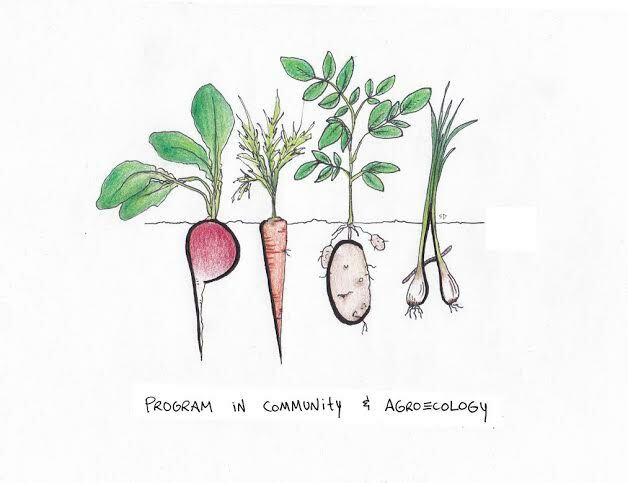 My name is Andrew Blackwelder and it’s my first quarter being the A-quad garden coordinator for the PICA (Program in Community and Agroecology) garden! It’s been an amazing experience so far and we have a lot of projects underway. Some projects we have are planting winter crops (mostly leafy greens) such as Romaine Lettuce, Swiss Chard, and Cabbage. Cover Cropping, is being implemented in many beds and is critical to add nutrients and assure healthy beds for the future. 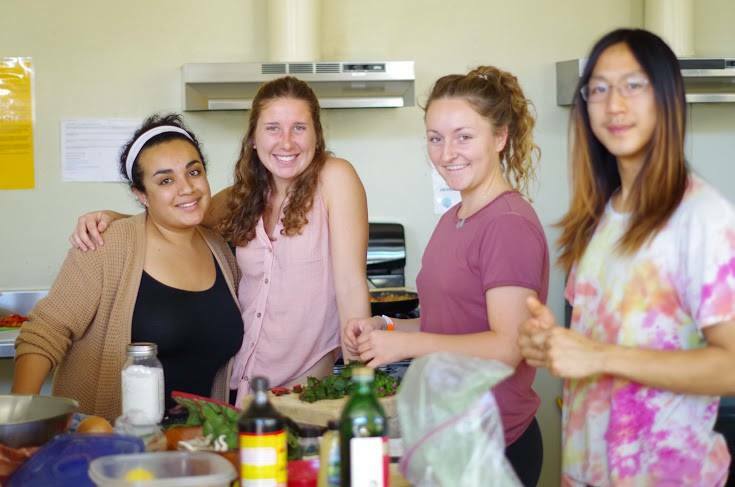 The garden team has been connecting with the UCSC Farm known as CASFS (Center for Agroecology & Sustainable Food Systems) through the second year apprentices. We are coming up with very cool ideas to better connect and organize possible events for the communities and the UCSC community at large. It has been a great opportunity so far! I’m also working on a media based project to spread awareness about PICA. Such as a PICA t-shirt, designed by current PICAn Sophia DiMatteo, (see design below), for current PICAns, alumni, and friends of PICA. Through photography, documenting work days, and workshops to visually spread awareness of all the awesome activities and weekly opportunities to learn and experience gardening. Additionally, brainstorming future video ideas to spread awareness about the organization and our current best practices. Greetings friends, Villagers, and PICAns! As you might already know, I am your friendly neighborhood Compost Coordinator, and I have great news for you all–the Village Compost System has been a success this quarter (as always)! We’ve gathered several hundred pounds of food waste from our ecologically minded Village residents and successfully turned what would be trash in a landfill into nutrient rich compost to help sustain our A and B quad gardens in the village. I’m happy to report that our workdays have been very productive with volunteers ready to turn, sift, and build these huge piles of organic waste. I am thankful for all of you who have come out to get your hands that special kind of dirty that only a good composting can offer you! 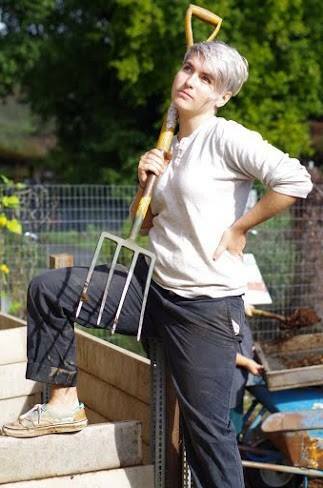 For all of you who are interested in composting, please feel free to email me (juaubrow@ucsc.edu) or chat me up if you see me working. I’m happy to answer any and all of your composting questions. As for the new year, we are working on cooking up a special compost video art project and worm composting workshop in the Spring for Village residents. Thank you again for all of your interest and support, and keep up the great work! Be well and compost! Hello All! My name is Kelsey Jones and I am this year’s Provost’s Sustainability Internship (PSI) for PICA. I have endless troubles with saying “I am the Outreach Coordinator for the Program in Community and Agroecology via the Provost’s Sustainability Internship”, quite the mouthful yes? What is most exciting about this internship (though) is not my title, but rather the experiences it has given me. This quarter I have been granted the opportunity to coordinate PICA’s quarterly workshops. And let me say, they have been a blast so far! The first workshop I coordinated was with a former PICA meals coordinator, Abby Putnam. 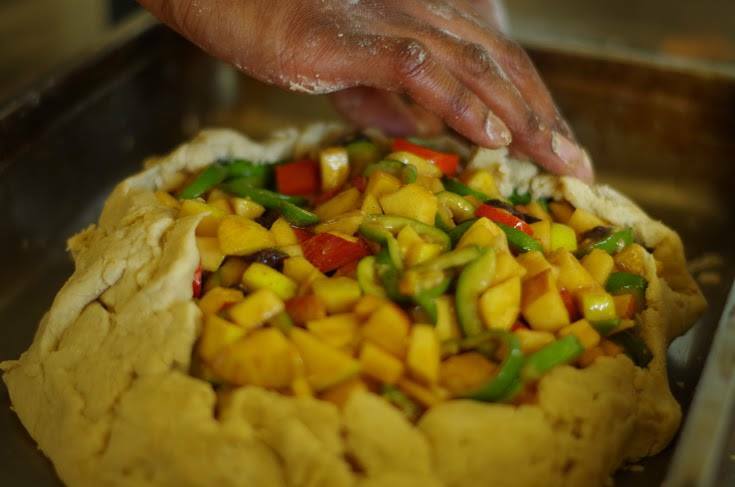 We wanted to give the community some hands-on cooking lessons centered around the local food movement so we created our “From Garden to Plate: How to Create a Locally Sourced Feast” workshop on November 9th. We made a delicious bean and pumpkin soup, apple galette, and some lasting memories as well. Later on in November PICA was granted the pleasure of a visit from freelance writer/food enthusiast Sally Neas. 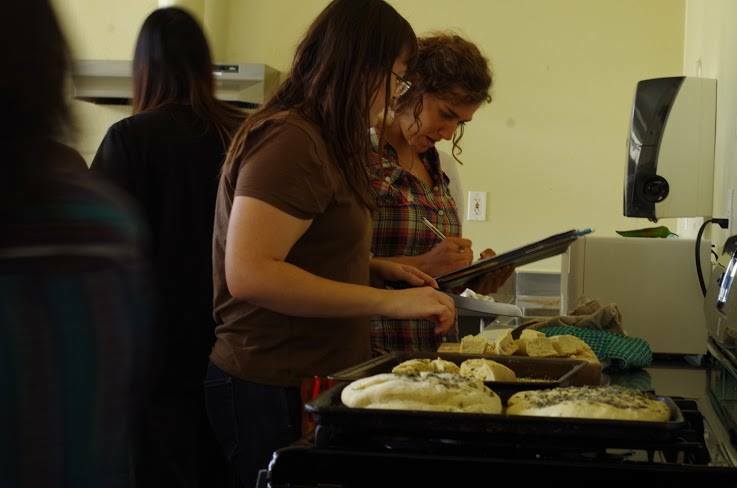 She gave a group of 16 students and Santa Cruz community members a lesson in fermentation. We made both bread and sauerkraut together while discussing the benefits of engaging with our local food traditions (forget San Francisco sourdough, lets get Santa Cruz sourdough some time in the spotlight!). I feel both these workshops engaged with some cornerstones of what it means to be a part of PICA and I can’t wait to develop more community through the lens of food systems in the coming quarters. 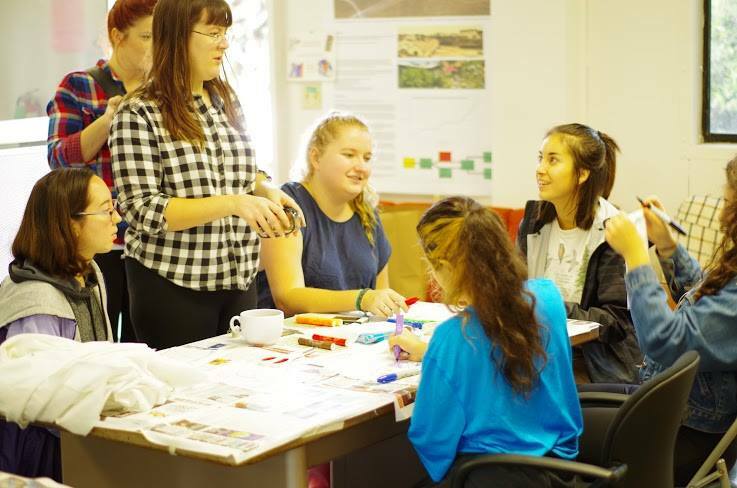 This quarter has been both really exciting and extremely busy as the PICA Residential Assistant. There is so much I could potentially write about regarding Fall quarter, but I want to specifically focus this article on two of the things that have happened this quarter that really resonated with the community. One aspect of generating a welcoming community that has been crucial to me since day one is gender inclusion. It is extremely important to me that PICA is a community that is inclusive of all different identities and experiences. I facilitated ensuring that each of the seventeen Village residential buildings included PGPs (Preferred Gender Pronouns) on their door decs before move-in week in order to set the tone of inclusiveness on move-in day throughout the Village. I also held a Trans 101 program that was hugely successful, fun, and informative. Over forty people attended this program, and we were fortunate enough to hear from six trans-identified individuals about pertinent issues regarding both trans issues in a more general sense, and about these individuals’ personal lived experiences as trans-identified folks. I am so incredibly happy with the outcome of this program and I strongly feel that programs that focus on historically marginalized groups are vital to the interpersonal and intrapersonal growth of communities and the individuals that reside in said communities. I look forward to holding more programs with intercultural inclusion themes in Winter and Spring quarters. A second aspect of community that felt important to me this quarter was our Avant Gardener’s community meetings. These meetings provide a space for PICAns to come together and voice their opinions regarding relevant issues within the community space. We all vote on aspects affecting our community, with the intention of deciding things that affect us together, and not having one person or a small group make community decisions for the whole. I think these meetings have been very successful in facilitating a space of intentionality and purpose within the PICA community. During Avant Gardener’s this quarter, we as a community also established community agreements, which we voted on democratically and agreed together to adhere to throughout our time together. This reflects the philosophy that PICA holds as both an intentional and accepting community. I could say a whole lot more, but I feel that these two aspects of community are a good overview of my position as Residential Assistant in Fall quarter. I just wanted to leave you all with some gratitude. I genuinely feel so grateful and honored to be living in this beautiful community with such passionate, intelligent, and thoughtful individuals. I honestly think each of you living in this community has brought a unique set of passions and perspectives into the space, and I feel that I have personally grown from knowing each of you. I am stoked to get to know you all better during the remainder of the school year! Much love for you all. Working with a supportive leadership team this past year has allowed me to achieve certain goals that I do not think I would have been able to in another work environment. As an RA I work to support and build the PICA community by providing resources and activities for PICAns to enjoy. Fostering a bond within an intentional living space has been a rewarding experience, one that seems unfailable. This is because the students who live here are driven and willing to work to build community just as much as me. I have been inspired by many residents to host events such as tie dying, pot lucks, and a natural body products workshop. Being the PICA RA is really about listening to what the community wants and giving them the tools and materials to make it happen. I feel incredibly lucky to have held this potion and know too, that I am passing it off into good hands. Thank you PICA residents, leadership staff, and professional staff for providing for me and all of us to make PICA what we love.